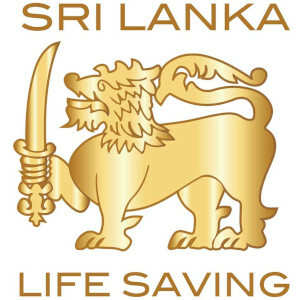 The Sri Lanka Life Saving (SLLS) is the National body for Life Saving and water safety related activities in Sri Lanka. Our focal objective is to reduce drowning and water related accidents both onshore and offshore within the country. The inauguration of the journey of Sri Lanka Life Saving has launched in 1947 by Mr. Harry Nightingale from Bondai Beach, Australia was revamped in 2009 by Mr. Norman Farmer ESM yet again from Surf Life Saving Australia (SLSA). Since then, we were very positively located to entice the other nations and win their accolades whilst touching the hearts of our key ministries. We are affiliated to the International Life Saving Federation (ILS), Commonwealth Royal Life Saving (UK) and International Maritime Rescue Federation (IMRF – UK). The SLLS is registered with the Ministry Sports (Comply with the National Association of Sports Regulation No.25, 1973 and National Association of Sports Regulation 2016.10.27 No. 1990/23 (22nd National Sport). Also we have been recognized by the ministry of Health and Disaster Management Center of Sri Lanka. Furthermore we have been given a special authority by the Democratic Socialist Republic of Sri Lankan government to conduct all the Water safety, drowning prevention and lifesaving actions through ministry of Education and ministry of Defense. It is also should be mentioned that we are an approved Charity Registered under Sec 31 (9) of the Department of Inland Revenue Act (ACT/9/87/20). Surf Life Saving Australia (SLSA), Life Saving Victoria (LSV), Royal National Lifeboat Institute (RNLI) – UK and UITEMATE – Nagaoka University of Technology – Japan. Currently we are functioning with 33 Full Member clubs and 17 Associate Member clubs, Island wide. We have a proud record of training nearly more than one million members of public including school children, armed forces and Police force, for free of charge.